Is it a question of ownership or access to today’s internet online technology? What if you can’t afford to buy any of the many connectable devices such as laptops, tablets and smart phones? Are you then unfortunately shut out of opportunities that are only available on-line? What do you do if you don’t own any of these devices? Where do you go to get connected? Access rather than ownership to online devices is the real challenge for some of Malden’s residents. One solution that has been a refuge for many of Malden’s unconnected namely the Cyber Café located at 110 Pleasant Street. The Cyber Café was started in 2001 through a partnership among several local organizations called the Community Access Technology Coalition. The composition of this coalition includes Tri-City Community Action Program (Tri-CAP), Malden Access Television (MATV), Murray Learning Associates, Representative Christopher Fallon and The Career Place. Realizing that many of their own clients were left out of the world wide digital connectivity, the Coalition sought to bridge the gap by offering free internet and computer access. They have been able to provide these services through grant funding and donations along with a group of dedicated volunteers. Today we live in a world filled with modems, routers, cable wires, smart phones, tablets, electronic notebooks, laptops and computers. All so we can stay connected through texts, tweets, emails, chat rooms, Instagram, Facebook, Twitter and other social media networking services. Most of us assume that everyone has a computer, a tablet or a smart phone and that we are all computer literate. This is not the case which is why the Cyber Café offers training classes in addition to access to their computers and internet. 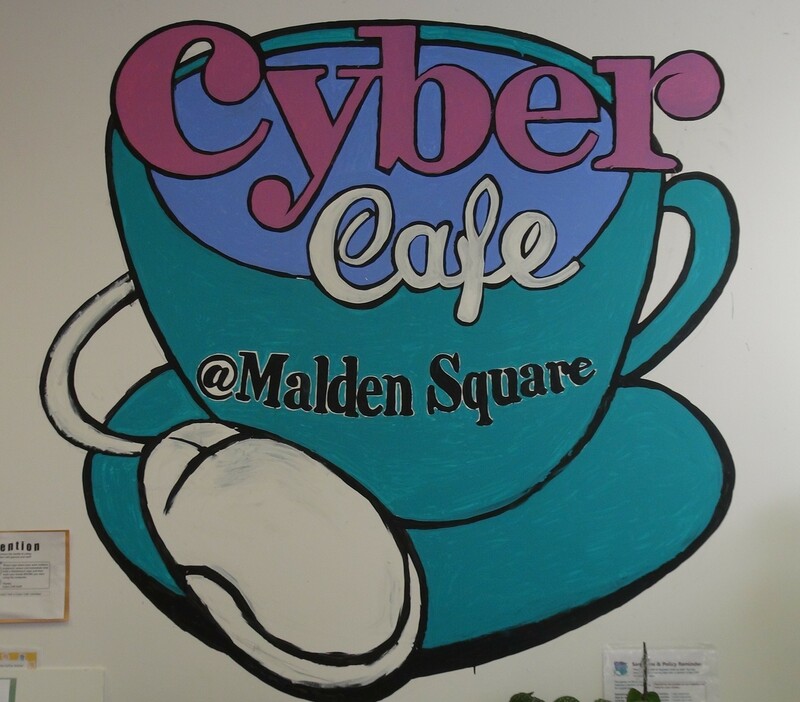 The most frequent users of the Cyber Café are those residents of Malden who do not have the latest technology; in fact most don’t have any electronic devices at all. 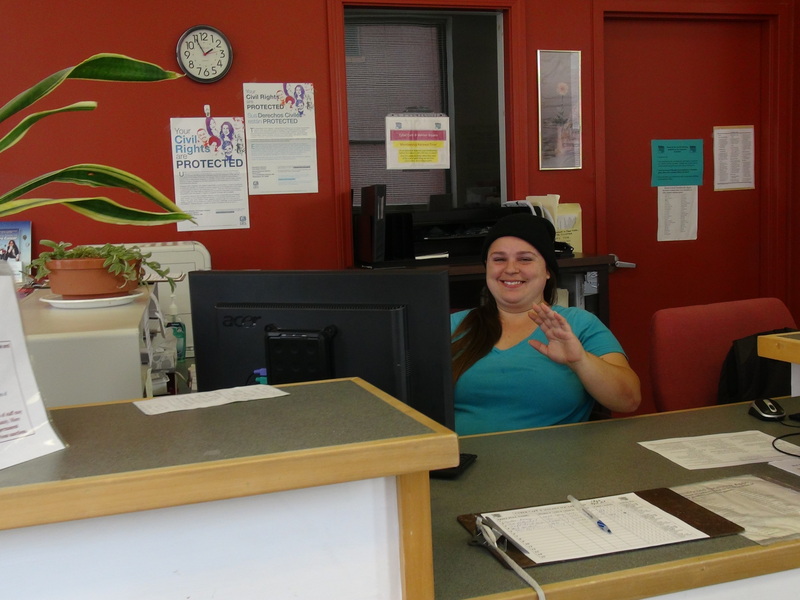 They depend on the Cyber Café to job hunt and submit applications on-line; check availability of housing space, send and receive e-mails; make educational inquiries; gather information on job readiness skills; as well as staying connected to families and friends. If these essential internet and computer on-line services were suddenly not available, how would some of Malden’s most vulnerable stay connected? Other internet facilities usually don’t have the time, inclination or patience required to interact with the less privileged amongst us. This is a fantastic example of a service-driven piece of community journalism. Congrats to Marcia and Karen as they continue to give a voice to aspects of the community often overlooked by mainstream media.